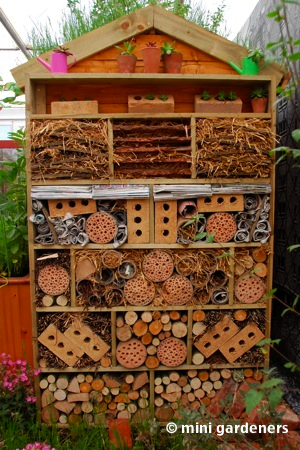 Or, on a smaller scale, these insect houses make attractive features for a garden fence or wall. 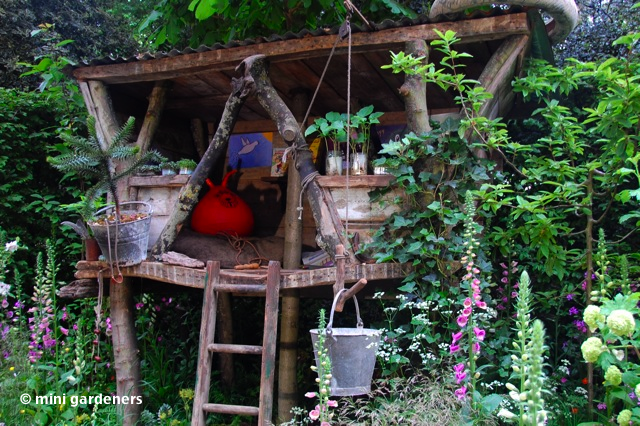 The NSPCC ‘Garden of Magical Childhood’ was truly magical with a tree house to die for. Never mind the children, I want one of those. 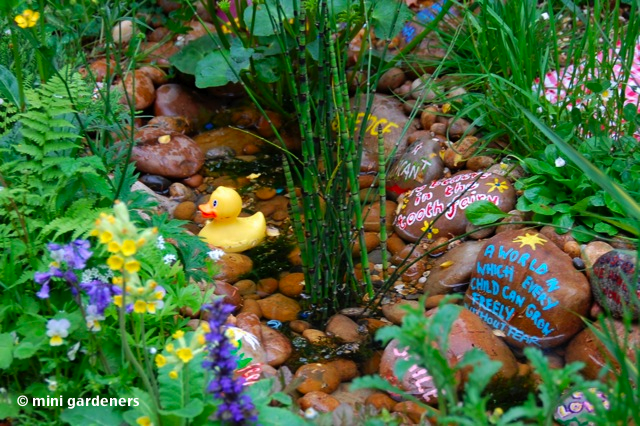 The garden also featured pebbles with wishes painted onto them – an idea that could easily be copied for the smallest of gardens (pool and rubber duck optional). 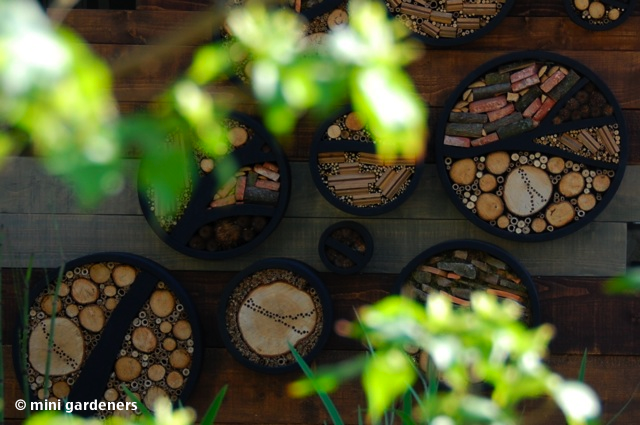 The Homebase garden was designed with families in mind and particularly aimed at parents keen to get their older children connected with nature rather than connected to their phone/ipod/nintendo/xbox etc. 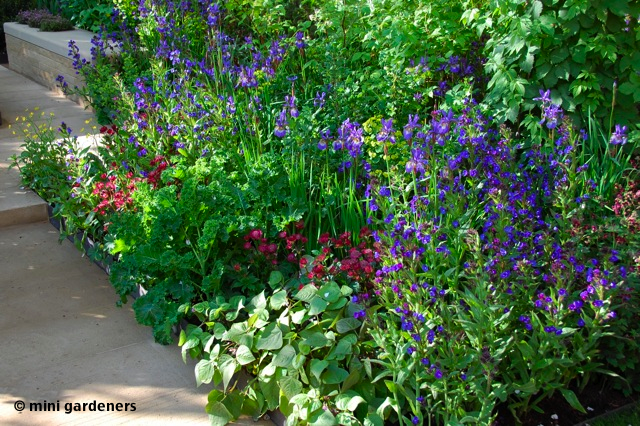 I loved the way that vegetables were incorporated effortlessly into flower beds (spot the kale and dwarf beans in the photo above). 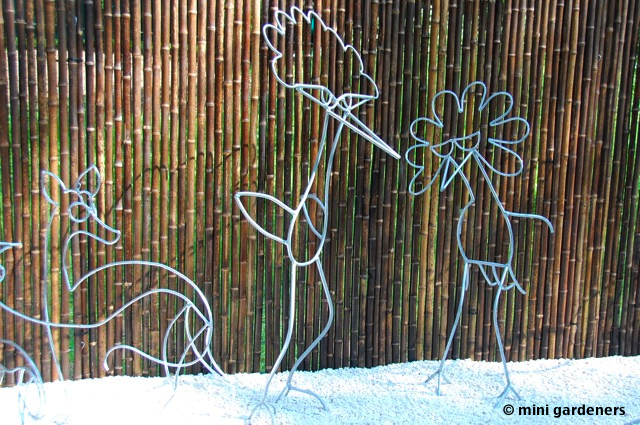 On a lighter note, some funky garden sculpture may, or may not, be your cup of tea. Not sure it’s mine but they did make me smile. 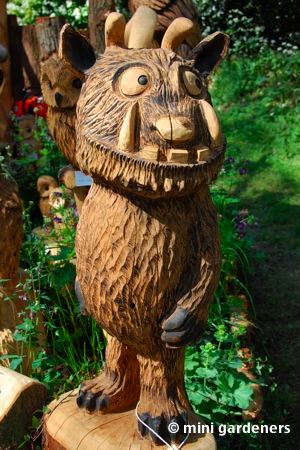 More elaborate sculpture; recognise this little chap? 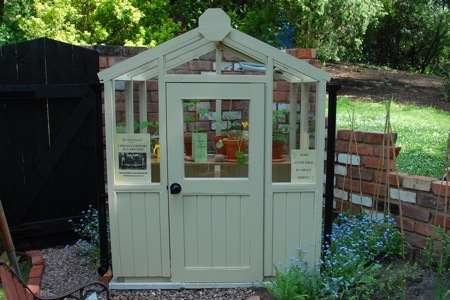 If money is no object, how about a child-sized greenhouse? 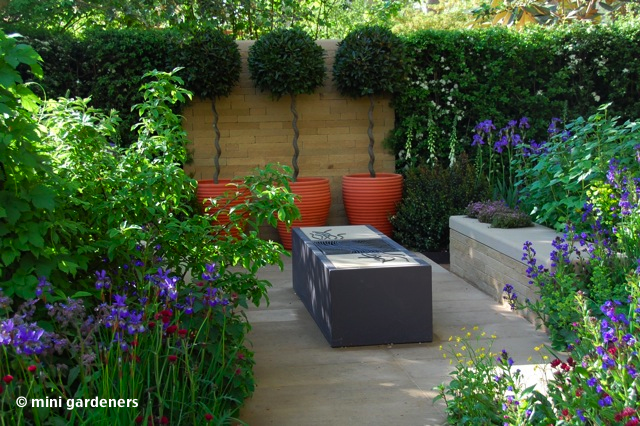 The flower pots inside give you a sense of scale. 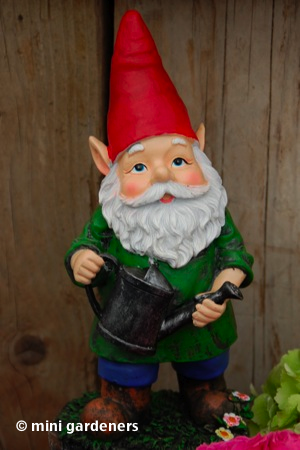 And finally, for one year only, gnomes are allowed at the Chelsea Flower Show this year. It’s a good rule of thumb that anything slightly tacky is virtually guaranteed to delight a small child. 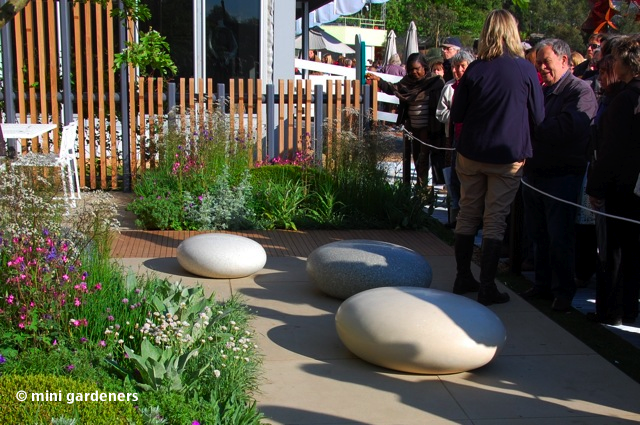 I’m sure Hampton Court will be packed full of gardening inspiration too – am hoping to go but haven’t got tickets yet.